Hornets rookie Frank Kaminsky celebrated with some sweet air guitar (or bass, or banjo) as his teammates closed out the Washington Wizards Nov 25th. Thanks to Frank for reminding us to shred like no one is watching. Right around the time of the Jeremy Lin signing, Steve Clifford told local reporters that he’d feature a strict nine man rotation during the season. In Clifford’s eyes, an NBA player needs at least twenty minutes a night in order to get into any kind of rhythm. This will be a challenge. Unlike so many Bobcat teams of years past, this seasons’ Hornets roster is stacked with talent and a few high quality players will find themselves hoarding DNP-CDs. Injuries, matchups and merit will likely keep the cast in flux but I fully expect Clifford to stick to his word and get nine guys real minutes each game. WHO ARE THE STARTING FIVE? Clifford’s mantra of starting games with an emphasis on defense while ending them with an emphasis on offense gives Cody the easy edge over rook Frank Kaminsky. Even if Frank gets up to speed with pro defense during camp, Cody’s abilities as a mobile defender next to Al makes him a better fit to start. LINEUP STRATEGY: Aside from the usual Kemba step-backs and Big Al post-ups, expect a steady diet of pick & pops with Batum and the two bigs. Nic ran a ton of them with LaMarcus Aldridge back in Portland and Big Al & Cody have dependable range out to around eighteen feet. Zeller and MKG will anchor the defense and look to exploit any extra attention given to Jefferson and Walker. Clifford traditionally rests two of his starters halfway through the 1st in order to bring them back at the begining of the 2nd to play with the reserves. In years past Josh McRoberts and Gerald Henderson would sit for guys like Cody and Gary Neal. This year we’ll likely see Zeller and Batum get a rest with Lin and Frank making early appearances. LINEUP STRATEGY: J-Lin replaces Batum and makes certain the playmaking onus is never on Kemba entirely. Expect to see a steady dose of Big Al posts ups and a pick & roll/pick & pop bonanza with Lin and Kemba exploiting open lanes for drives. Clifford’s goal of playing Jefferson around 30-32 minutes per game should come to fruition this year and sliding MKG over to the four for a brief stretch is a nice enticement. LINEUP STRATEGY: Depending on how Kidd-Gilchrist’s 3PT shot has developed, this lineup will either be a 4 out or a 5 out – a deep shooting rarity given the Queen City’s recent past. Expect this unit to play at a much faster pace with Frank spotting up for trailing threes at the top of the arc. Batum and Zeller check back in early and play most of, if not all of, the 2nd quarter. We get our first look at Hawes as yet another floor stretching big who can make plays. LINEUP STRATEGY: Expect every possession to run through Batum, Lin or Hawes. Lamb thrived in OKC as a spot up release guy who didn’t have to rely on his handle. Cody should see plenty of rim-diving opportunities off Batum and Lin PnR’s. Clifford will slowly trickle back in the other starters towards the end of the quarter. Cody gets a rest swapping out for a floor spacing Frank. LINEUP STRATEGY: A version of the starting five skewed for offense and floor spacing. In this scenario, the Second Half substitutions play out in roughly the same sequence with Clifford riding hot hands deep into the 4th quarter. Hawes and Lamb fall just a bit short of the 20 minute mark but of course that could change depending upon the matchup or individual performance. The Hornets currently feature sixteen players on the roster. Two of the those players (Aaron Harrison and Elliot Williams) are signed to non-guaranteed deals and can be released at any time. A strict nine man rotation means that six or seven guys either sit or are inactive every night. At risk of losing his roster spot to Aaron Harrison as the team’s third PG. Don’t be surprised if his expiring contract is traded to a team in need of PG depth before the start of the season. Expect Marvin to be used in small ball matchups against bullying wings (Paul Pierce, Jabari Parker, Jared Dudley) as an alternative to Hawes. This year’s Jeff Adrien/Jason Maxiell. Psycho T (yes, I know he hates that name) will steal minutes from any big Clifford thinks isn’t being physical enough (you hear that, Frank and Cody?). Coming off a very disappointing rookie season and Summer League. P.J. was billed as a shooter but can’t seem to shoot. He’s another off-the-court incident away from joining Sean May and Jeff McInnis under the Tobacco Road overpass. A nice Summer League surprise, Troy may get some burn as a bench scorer if Lamb and Hairston struggle with their shots. We should know by the end of camp just how serious a prospect Harrison really is. If he can build on his excellent Summer League, Brian Roberts may be out of a job. That said, Harrison won’t see court time unless one of Kemba/J-Lin goes down. Not guaranteed to make the team. Just two weeks removed from the closing game of the 2015 NBA Finals, and significant moves have quickly been made all around the league. Sparing little time, the Hornets kicked off the Summer as one of the most active clubs reworking their roster. At this point, GM Rich Cho appears to be ambitiously taking on major renovations, while hesitant to chisel at the foundation of last year’s disappointing squad. Over the last decade, the Bobcats/Hornets haven’t hid their desperation to add legitimate talent. The results haven’t amazed, as they corralled rosters through free agency, drafts, or trades. The free agent market delivered a mixed bag of guys like Ramon Sessions, Al Jefferson, Marvin Williams, Brian Roberts, Jason Maxiell, and Lance Stephenson. Unfortunately, Charlotte’s habitual weakness – the NBA Draft – hasn’t counterbalanced their lack of free agent appeal (or cash). Their scouting and drafting practices have resulted in a young group of prospects that are living in the shadow of their own “potential” – Bismack Biyombo, Kemba Walker, Jeffery Taylor, Michael Kidd-Gilchrist, Cody Zeller, Noah Vonleh, and the newest Hornet Frank Kaminsky. It’s a good bet that none of these guys will be wearing an All-Star uniform next February, but it’s possible that they can all contribute as pros somewhere in the Association. If there’s one way to ease the anxiety or apathy of the fanbase, it’s a tool that Charlotte’s been leaning on for years – Trading. The Bobcats existed in a constant state of upheaval (internally and on the court). While the basketball product was underwhelming, they could always draw attention as we speculated on the next far-fetched (Allen Iverson) or bone-headed (Tyson Chandler) move they could make. Apparently, Michael Jordan decided to pivot from aimlessly swapping for dumb contracts and took an interest in shaping a balanced roster when he hired Rich Cho. Moving bad contracts and getting valuable, NBA-calibre talent through trades has proven to be Cho’s biggest strength as he’s rebuilt the club. Just a week ago, he surprised us by applying these skills to address his own mistake in signing Lance Stephenson last year. Result: Saved us from watching him ruin every offensive possession while on the court. Result: Now have a taller reserve guard with reliable shooting, and experience in a successful NBA offense. Rich Cho showed a little of his savviness to add talent in exchange for nothing. Result: Lost a captain and loyal teammate, but finally let Henderson see how things work outside of the ever-rebuilding Charlotte club. Result: Gave away a promising young big man. Yet, allows us to watch him develop from afar without the risk of being let down by another failed developmental talent project. Result: Kemba and Al will have room to work. Batum is enough of an offensive threat to spread defenses, allowing Charlotte to run a pro-style offense this season. As a bonus, MKG will have a handful more opportunities to slash to the paint with Batum drawing attention. Result: GM Rich Cho is going to have to defend this pick for a while. Charlotte just traded for Spencer Hawes, and Kaminsky will likely bring the same set of skills to the court. Who knew that Hawes was the prototype for the next generation of big man in the league? Result: The Hornets gave up on a project that wasn’t showing much return on their investment. This leaves the team without a real rim protector, and allows Biyombo to find a better fit elsewhere in the league. Rich Cho somehow gets a pass on this despite the obvious gamble. Result: More minutes are available for a wing behind MKG and Batum. Who will step up? As a whole, these moves signal a concerted effort to address the team’s painfully unwatchable offense. This could be the wave that elevates the Hornets to the Playoffs, as they’ve already claimed the reputation as a top defense under Steve Clifford. The organization has yet to establish a “system” like some of the league’s most respected clubs, but this off-season has shown that they’ve transitioned away from simply clearing the books and acquiring young (cheap) prospects. This Summer, the Hornets look like they’re actually building toward winning. POLL : Best Move This Summer? The Charlotte Hornets ranked dead last in three point field goal percentage last season and second to last in overall field goal percentage. They ranked in the bottom third of the league in three pointers attempted and were tied for worst in the league in points per shot. They notched the third fewest assists per game and achieved the league’s lowest adjusted field goal percentage. In summary: the Hornets were an abhorrent offensive team last season. A full-on disaster. They couldn’t shoot and they couldn’t pass. Friendly reminder: Golden State just won a title because they could really shoot and really pass. Since their season ended in April, the Hornets have tripled down on the triple. The league’s all-time worst shooting-shooting guard Lance Stephenson was swapped out for floor-stretching big man Spencer Hawes. Mid-range bandit Gerald Henderson was shipped west for distance shooting playmaker Nic Batum. The team used a glitch in the matrix (Matt Barnes’s semi-guaranteed contract) to take a flyer on range shooting wing Jeremy Lamb. So on Draft night it should’ve come as no surprise to Charlotte hoops fans that the team would use it’s Lottery pick on an NCAA player of the year who shot 41% from downtown. Except that it did. Justise Winslow had a tremendous freshmen season at Duke. He did everything. Scored, rebounded, notched Bojangle Hustle Stats, you name it. And then he and the Blue Devils won the national title. It was the feel good movie of the year and it happened in our backyard. Who would’ve thought that three months later at the 2015 NBA Draft, Winslow would’ve slipped past not one, not two, not three…but five teams in need of a young small forward? Yet that’s exactly what happened. Suddenly the Hornets were on the clock at pick number nine – and even though the entire internet knew that Charlotte was sold on Wisconsin’s Frank Kaminsky – it seemed like a no-brainer to select Durham’s Mr. Intangibles and get the steal of the night. Instead, Adam Silver walked to the podium, read off a Polish surname and Twitter exploded with disbelief, snark and disgust. Three years earlier, another freshmen phenom won a national title while teaming up with a dominant big man. This freshmen was also a big-time intangibles guy who eventually found himself as the number two pick in the 2012 NBA Draft. His name was Michael Kidd-Gilchrist and he’s currently the heart & soul of Charlotte’s Top 10 ranked defense. The similarities are striking. Like MKG, Winslow struggled with his shot mechanics during his young hoops career. And also like MKG, Justise is a big-time worker. Winslow revamped his form enough to manage 40% shooting from the college three point arc. While Winslow’s length and upside on defense aren’t quite that of Kidd-Gilchrist, his jumper is certainly further along at this point than MKG’s was three seasons ago. That’s the good news. Here’s the bad news: Winslow’s shooting is still a major problem. Free throw percentage is generally a strong indicator of actual shooting ability and Justise only managed 64% at Duke (that’s six percentage points lower than MKG’s KU numbers). As DraftExpress’s Mike Schmitz pointed out on a recent Nate Duncan podcast, most of Winslow’s three pointers were of the spot up variety, where Justise could have more time to get set and wind through his methodical shooting motion. More concerning is the fact that a lot of these spot up attempts came while matched up against slower, shorter collegiate power forwards who lacked the elite closeout abilities of NBA small forwards. Justise rarely shot or made mid-range twos during his time at Duke and while that shot has gone out of fashion recently, it’s still a required skill for a scorer. In short, Gerald Henderson is currently a much better shooter than Justise. And Hendo’s pairing with MKG led to the league’s worst offense. Justise would’ve only made them worse. Steve Clifford and Patrick Ewing spent half a decade together in Orlando helping Stan Van Gundy build around a dominant defender. They surrounded an offensively limited Dwight Howard with as many shooters and playmakers as possible. It worked. They even made the 2009 Finals. It was a modern update on a traditional strategy – from Bill Russell to Alonzo Mourning – scorers on the outside and a shotblocker in the middle. Kemba Walker as Jameer Nelson: scorer and primary ball handler. Nic Batum as Hedo Turkoglu: secondary ball handler and halfcourt distributor. Spencer Hawes and Frank Kaminsky as big men versions of shooters JJ Redick and Rashard Lewis. And finally…Michael Kidd-Gilchrist as Dwight Howard, defensive stopper. Again, it’s kind of insane. And it just might work. Unlike decades past, nearly all of the league’s most dangerous scorers play on the perimeter. Steph, KD, Westbrook, Harden, Melo, Lebron. A lumbering, paint-shackled center is useless against defending a step-back twenty-three footer. If you need to make a stop, it has to start outside. Frank Kaminsky breaks every modern Draft stereotype. He’s a four year senior, none of his measurables blow you away and he’s goofy looking. Instant bust, right? The problem is that Frank can really play. He’s a pick and pop weapon. He’s a spot up three zone buster. He’s a high post facilitator. He takes advantage of smaller defenders on the block. Will the dribble drive game work in the pros? Maybe. If it doesn’t he’s Ryan Anderson. If it does, he’s Dirk or a short-armed Pau. When the Hornets drafted Cody Zeller two years ago they did everything they could to turn Cody into who Frank Kaminsky is today. But Zeller rarely shot the mid-range in college and is to this day visibly uncomfortable when he’s put into position to attack. How many times have we seen Cody set a screen, get to his spot and not even look at the rim. His eighteen foot jumper has improved but it’s painfully obvious that Cody would rather pass or roll to the hoop (and only if the lane is empty). Mark my words: Frank will have the exact opposite problem. If he has space, Kaminsky will put it up. No hesitation, no apologies. After watching clips of Frank the Tank over the past few days, two major questions arose: 1.) Will his off the dribble game translate? and 2.) Will he become a servicable system defender? The answer to the former is intriguing. If he can punish closeouts in the pros with creative dribble drives, he’s a stud. If not, he’s Anderson or Channing Frye. But it’s the answer to the latter that will determine Kaminsky’s career. Vantage Sports recently pubished a nice piece on collegiate big men pick and roll defenders which surprisingly ranked Frank highest amongst his peers (including top picks Karl Towns and Willie Cauley-Stein). Kaminsky may not have the Javale McGee turbo jump button but he tends to always be in the right spots when sealing off penetration. Encouraging, sure, but this is while playing center against collegiate competition. What on earth does this pick mean for Al Jefferson’s future in teal? If Clifford can maintain a Top 10 NBA defense with a big rotation of Al, Frank and Spencer Hawes, he deserves a Hall of Fame induction. I’m not even joking. It will be a minor miracle. Sure, the Hornets may field the East’s best defensive wing combo in MKG & Batum but eventually opponents will figure out ways to neutralize them. Kemba and Al defending a one/five pick & roll with Frank as the help will have the Russell Westbrook’s and John Wall’s of the world salivating when they see the letters “CHA” on the upcoming schedule. This is why all of the talk about playing Al and Hawes or Al and Frank together confuses me. Clifford is neither dumb enough nor hubristic enough to try something like that as more than a gimmick, right? Right? Stauskas? Stauskas? The Hornets notched back to back elite defensive seasons with Cody Zeller and Josh McRoberts playing next to Jefferson, both of whom are much more laterally and vertically gifted than Kaminsky. After the Draft, Clifford made it a point to say out loud what many of us were already thinking: he would be experimenting with Kaminsky/MKG/Batum/Lamb/Kemba small-ball lineups next season. That makes a ton of sense theoretically, though I wouldn’t expect to see Charlotte play that way in heavy doses. MKG already gets banged up and misses a ton of games playing against guys his own size; having to go head to head with the Tristan Thompson’s and Greg Monroe’s of the world seems like a bad idea. That said, expect MKG to at least log part of his 30-34 minutes per game at the four. The team plays much better with him on the floor and having a stretch big create more driving and post up opportunities may be the thing that finally opens up the twenty-one year old’s offense. Those of you who have made it this far have likely already connected the dots. The Kaminsky pick had as much to do with the 2012 Draft as it did with 2015. The team is putting it’s former Lottery picks (MKG and, to a lesser extent, Kemba Walker) in position to win and to improve much like Washington has done with Wall and Bradley Beal. Some have called this strategy short-sighted and a poor management of assets. I see the opposite. With these moves, the Hornets are doing everything they can to maximize their most prized assets. It’s risky, sure. But isn’t it more risky to endlessly recycle mis-developed prospects and perpetually mortgage the future on another nineteen year old could-be? Charlotte has made their decision and are moving forward in a unified direction. To that I say bravo, Hornets. Bravo. It’s the day of the Draft. Fans are obsessed with potential. It’s fun. For a while. And then it’s not. We want to see results. Fans will not reminisce into their twilight years about Steph Curry’s upside. They will reminisce about his MVP season, his championship season. In fact, Curry never really had any upside as a junior coming out of Davidson. He was a physically limited combo guard who could really shoot. Crazy measurables? Hardly. Now he’s a champ. The Hornets haven’t won 50 games since the late ‘90s. I remember those teams but I’m also closer to forty than thirty. So many younger Charlotte NBA hoops fans have never known what it’s like to cheer for a winning team. Michael Jordan has decided that it’s time to change that. Immediately. Nic Batum can pass and shoot. Two things the Hornets struggled with mightily last season. A team starting Kemba Walker at point guard needs a wing compatriot who can facilitate in the half-court and defend. A team with Al Jefferson at center needs a wing compatriot who can stretch the floor, complete entry passes and keep his man from running free into the paint. Batum checks all of these boxes. All of them. I posited a Batum trade two weeks ago for these very reasons. If Charlotte is intent on building around Kemba and Al, then adding a player like Nic is non-negotiable. The system simply won’t work without one. This trade is impossible to grade until you know two things: A.) Noah Vonleh’s realized upside and B.) Nic Batum’s next contract. Noah was a consensus Lottery pick last year for a reason. He’s a physically gifted (if non-athletic) big man who can score in a variety of ways. He can rebound and block shots. He might be a star. We don’t know. Coach Clifford rarely played him last season and immediately after the trade there was some chatter that Charlotte found his inability to grasp basics of the NBA game worrisome. He’s still only nineteen years old so it may take several more years before we know exactly what the Hornets gave up. In the meantime Batum is on an expiring contract. He’ll be an unrestricted free agent next season and can walk freely. Sure, Charlotte will have his “Bird Rights” but given the landscape of the new CBA, that really doesn’t mean anything. Perhaps Rich Cho and Nic’s people have some sort of understanding in place – sell Batum on Charlotte this season and reward him next July – again, we shall see. 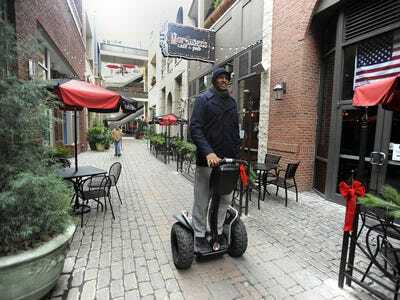 Hopefully Nic enjoys the Queen City more than the last French baller – Boris Diaw – who was so miserable in the South that he transformed into Paul Blart: Mall Cop. All this said, it’s worth the risk. Batum and MKG on the wings is the East’s best defensive perimeter duo. Nic did wonders for Damian Lillard’s career as a secondary pick and roll ballhandler and he’ll do much the same for Kemba. Big Al has an underrated pick and pop shot out to around eighteen feet and Batum can run similar plays with Jefferson that he did with LaMarcus Aldridge. If the proposed Jeremy Lamb trade goes through, Clifford will almost certainly trot out MKG/Batum/Lamb/Kemba small ball lineups with either Spencer Hawes or Cody Zeller at center. The sort of ball movement and shot-making these lineups produce will leave Hornets fans confused, wondering if they’d mistakenly tuned into a Western Conference team instead. Finally, they’re not finished. The Draft is tonight and the Hornets love making trades. Expect the unexpected. Draft Frank Kaminsky? Why not. Trade him to the New York Knicks? Why not. Trade him in a package for Carmelo Anthony? At this point, why not. Michael Jordan wants his team to win games and make this city proud again. Unlimited Upside? Defiantly no. The Upside of Winning is so much sweeter.